Produkt kategori av Chicken Kennel, vi är specialiserade tillverkare från Kina, Chicken Kennel Galvanized Chicken Kennel leverantörer / fabrik, grossist hög kvalitet produkter Folding Chicken Kennel FoU och tillverkning, har vi den perfekta kundservice och teknisk support. Ser fram emot ert samarbete! 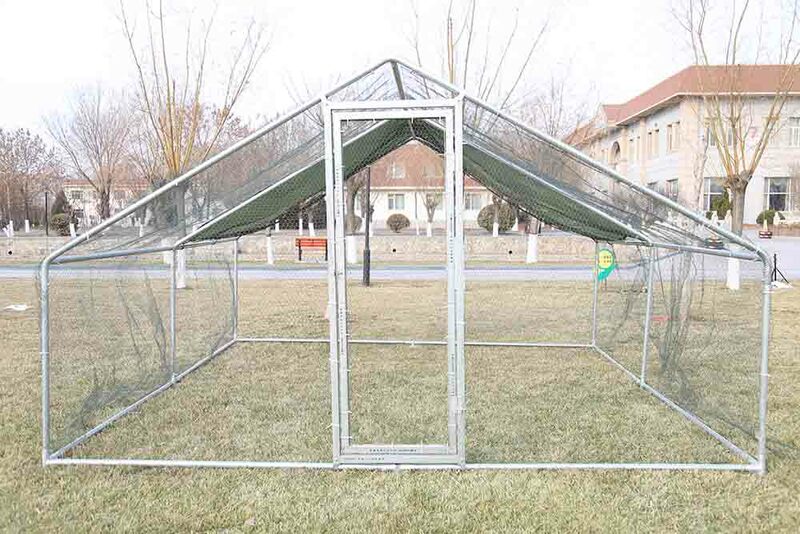 Galvanized chicken coop is one of our main products, the main features of this product are: large size, durable, more extensive use. We can produce different product sizes according to customer's requirements, and also can paste the customer's LOGO. Not only can this cage be used to raise the chicken, but ducks, rabbits and puppy dogs can also be fed, giving the user more options. Product assembly is simple, do not need to use large tools, two or three individuals can easily complete the installation. In addition, the product also has a waterproof ceiling, but also can shade, can provide small animals with comfortable, safe space for activities. If you are interested in our products, welcome to contact us, we will provide you with more product information. Thank you!